Get these coloring pages for free! Download these pages to your desktop as a companion to your book. Fun for the entire family. Get the Off-Kilta Matilda plush! This adorable doll has 5 spots on the left wing and 6 spots on the right. She has great big eyes and a cute purple and blue body. She is small (8 inches) enough to fit in the tote and go everywhere. 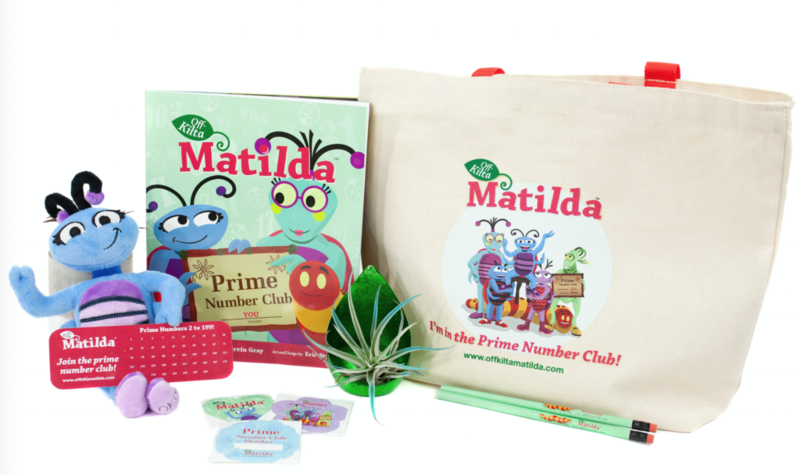 Take Off-Kilta Matilda with you and make math and science part of your everyday. This book is for children from kindergarten through third grade. Pre-readers will love the vibrant illustrations and parents will love all of the math puns. Get your child started in STEM today! This book promotes STEM and Self-esteem, we call it STEMesteem! Grab your book and plush and have an adventure with this cute tote. 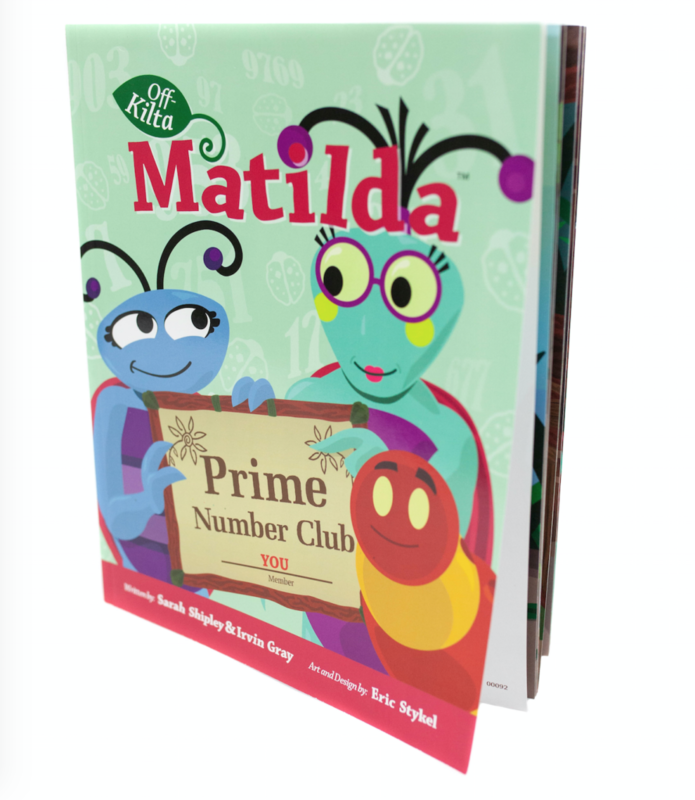 Show off your love for Off-Kilta Matilda™ and the Prime Number Club™ when you go to the library, store and everywhere you go. Earn the Off-Kilta Matilda™ STEMesteem™ patch AND do fun hands-on activities that will teach your child about computer safety, bugs, cybersecurity and how to be a home scientist! This activity is all about you! We will create an activity specific to your classroom, group or troop. Did you forget the card? Don't worry, we have you covered! Download our Valentine's Day card, Beetle my Valentine and show your support for STEM. Let kids know that STEM is in! Download this FREE Valentine's Day card and spread the love of STEM.